Dallas Personal Trainer - If your Dallas Personal Trainer is certified by NASM (National Academy of Sports Medicine), then this exercise is more than likely one of their favorite posture improvement exercise. It is very effective at pulling the shoulder girdle into its proper position and improving posture in the upper back significantly. 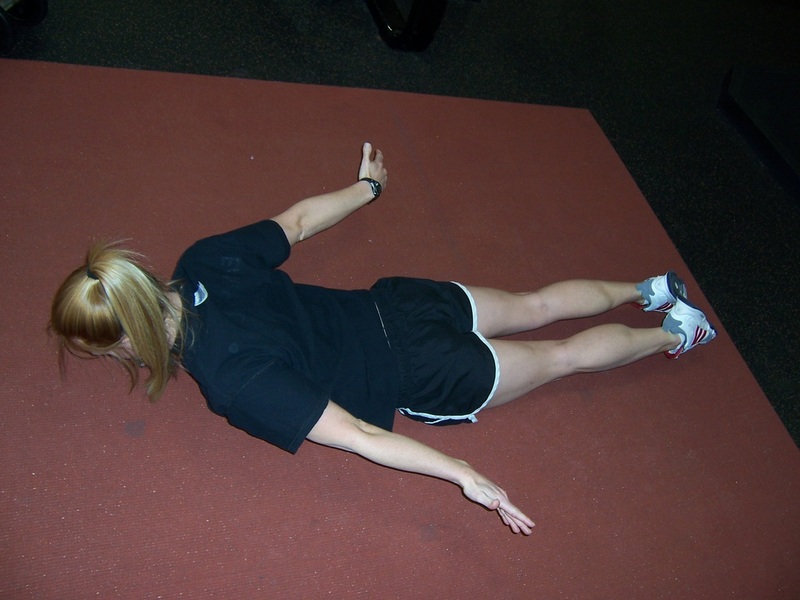 Lay face down on the floor and extend your arms out to the front and your legs to the back (like superman flying). Lift your legs without bending your knees, by contracting the glutes (rear end). If you cannot lift them, that’s fine, just contract your glutes and attempt to lift them. Keeping your chin down, pull your arms back towards the sides of your body with your palms facing forward and your arms locked at the elbows. Pull your shoulder blades down and back as far as possible, but do not allow your shoulders to shrug. Rather, pull your shoulders away from your head (un-shrug them), and contract your back muscles by squeezing your arms back as far as possible and turning your palms face forward and up as much as possible. Focus on this turn of the palms and strive to improve your ability to rotate your hands further and further over time. After getting a full tight contraction in the back for a second, return your hands to the front and start another rep. Do not let your hands touch the ground between reps and keep your arms as high as possible throughout the entire set.